Cal Poly student Scott Cosseboom collected Botrytis gray mold samples in 13 different fields in Ventura County as part of our research on current resistance management practices. Students and staff in campus research field. Students are holding research tools and the results of their labors! 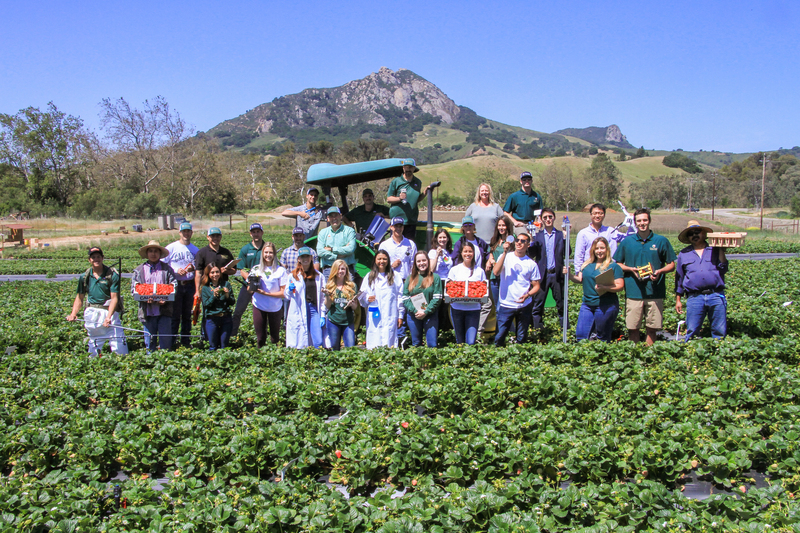 California produces approximately 90% of all strawberries produced in the U.S.
Cal Poly students harvest berries for research and for sale in campus markets. 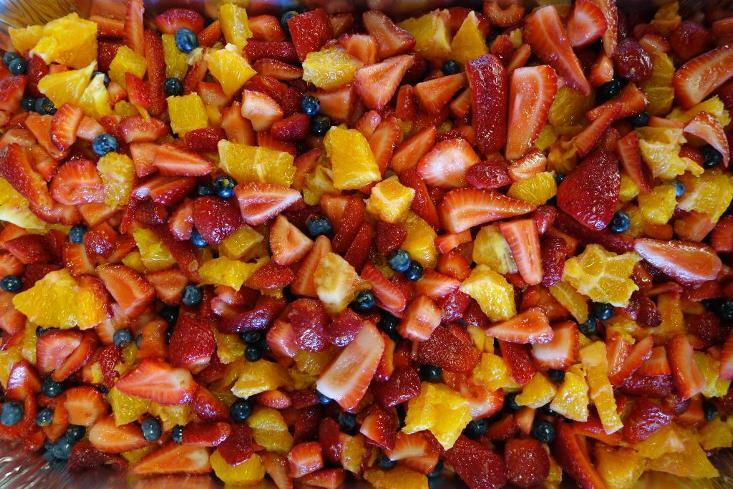 Strawberries are members of the rose family: Rosaceae. Other members of the rose family include stone fruits (peaches, plums, cherries, nectarines, apricots), almonds, pome fruits (apples and pears) and roses. 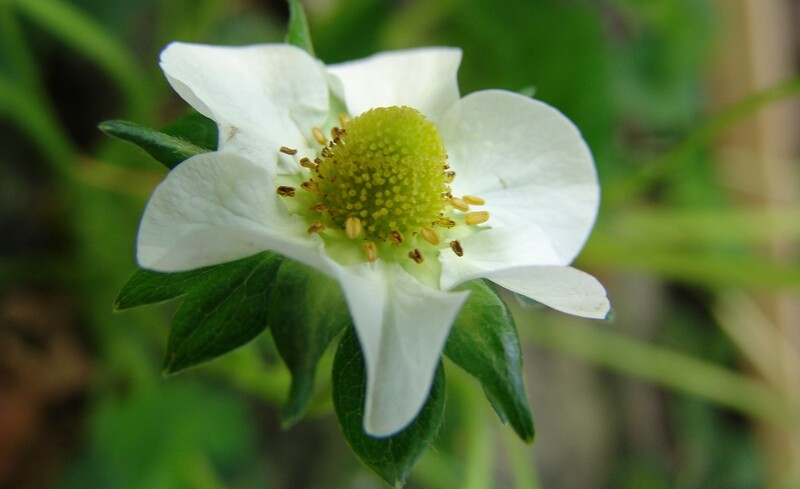 The seeds on the outside of a strawberry are called achenes. Sunflowers are another plant with achenes. Left to right: Gerald Holmes, Kelly Ivors and Ryan Brantley show off the first harvest on Feb 18, 2015. Strawberries growing and ripening in the warm San Luis Obispo, CA sunshine.